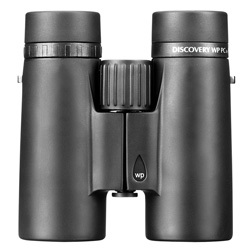 The Discovery series from Opticron features 5 sizes, from 8x32 to 10x50. 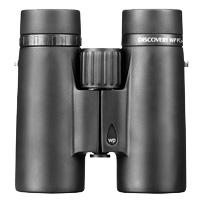 All retail between £169 and £199 (price correct at 1st October 2012) so are certainly in the average consumer market, but these binoculars offer a little extra to the user thanks to their physically small size and high quality full coated optics. For this review I am looking at the 8x32, 8x42 and 10x42 models. The larger models are available from other retailers, though, for the most part, the physical size of 50mm diameter binoculars often put people off. I'll start by looking at the quality of the glass these binoculars offer. At just above £150 I wasn't expecting the Discovery series to produce a fantastic image, though I was instantly impressed by the wide field of view on the 8x magnification models (7.5° on both). The 10x42s felt a little bit restricted at only 6°, though this is about average for a pair of 10s. The Discovery optics are fully coated and PC phase corrected prisms. In simple terms this means the image you see is sharper and clearer than those without phase correction. It certainly shows as centre detail is impressive, though there is slight blurring and distortion at the edges. As with most of Opticron's binoculars, the colour produced tends towards a cold hue yet a none-the-less vivid image. 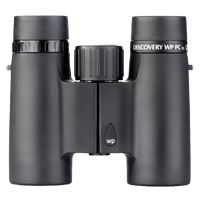 All models will focus to 1.5m or under, which is very capable for a binocular in this price range. Though the Discovery 8/10x42s are among the smallest waterproof roof prism binoculars available, they both weigh in at around 700g. This is fairly heavy considering the size. The 8x32s are, in complete comparison, one of the lightest 8x32 models available weighing in at a mere 391g. This is, however, down to their plastic body, rather than the magnesium bodies on the larger pairs. They still feel as tough as their bigger brothers though how they would fare after extensive use and a few knocks I'm not sure. The covering on the Discovery is of a fairly smooth rubber and doesn't instil the most confidence in me in terms of grip. The focus wheel is well gripped however and runs smoothly and quickly. The click stop dioptre allows for easy adjustment too, though of course once it's in place you of course very rarely need to change it! In terms of comfort the Discoveries are as you'd expect from a consumer priced roof prism pair of binos. Especially with the 8x32s I could use them comfortably one handed, the larger models were a bit weighty though. The Discovery series boast an impressive 2 stop eye relief for non-spectacle wearers, however, and perhaps it was just my eyes, I struggled to get a clear circular picture with the 10x42s. No problems with both the 8 magnification models, however, with the 8x32s more simple one stop twist out eye cups perfectly suited for me. 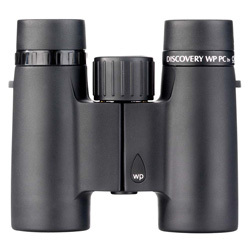 The Discovery WP PC series offer the value conscious user a very decent binocular at an affordable price. Though I was impressed by the image the 8x32s produced with their wide field of view, the plastic body (though advantageous due to it's light weight) lets the build quality down. For me, they were the most comfortable of the lot to use, though the larger models are still well built and feel balanced in the hand. I felt Opticron weren't generous enough in terms of accessories though this certainly wouldn't be enough to discourage me from the Discovery series, which overall performed very well for the price.